SXʷNQ̓EʔELS L SUW̓EČM /KSUKⱠIⱠMUMAⱠ ʾA·K̓͏AⱠMUKWAʾITS, Inc., which does business as Energy Keepers, Inc., is the tribally owned corporation of the Confederated Salish and Kootenai Tribes tasked with managing the acquisition of the Se̓liš Ksanka Ql̓ispe̓ Hydroelectric Project on the Flathead Indian Reservation. 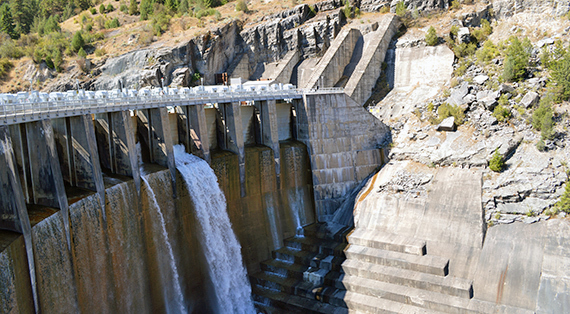 The Se̓liš Ksanka Ql̓ispe̓ Project, located about five miles southwest of Polson, encompasses a three-unit hydroelectric plant with the capacity to generate 194 megawatts of electricity. The annual generation of the plant averages 1,100,000 mega watt-hours of electricity or enough to supply 100,000 to 110,000 homes annually. Currently, the Confederated Salish and Kootenai Tribes have the exclusive right to acquire the Se̓liš Ksanka Ql̓ispe̓ Project in 2015 under provisions in the current Federal Energy Regulatory Commission license. 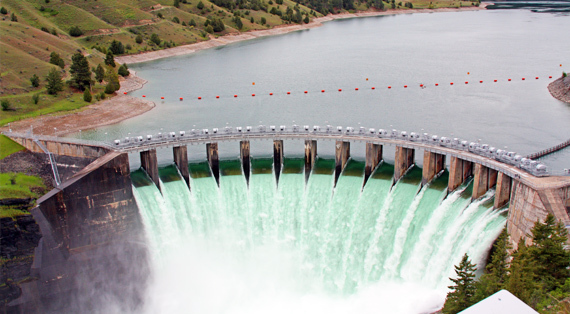 When the Tribes exercise their right to acquire the dam in 2015, they will become the first tribes in the nation to own and operate a major hydropower facility. Owning and operating the Se̓liš Ksanka Ql̓ispe̓ Project will be a milestone for the Tribes as they continue to reacquire, manage and protect Flathead Reservation resources taken by the 19th century assimilation policies of the U.S. Government. Fox—in both Salish and Kootenai legends, is one who restores life to Coyote. In the EKI logo, Fox is used as a symbol of the entity that will restore life through the ownership and operation of Se̓liš Ksanka Ql̓ispe̓ Dam. 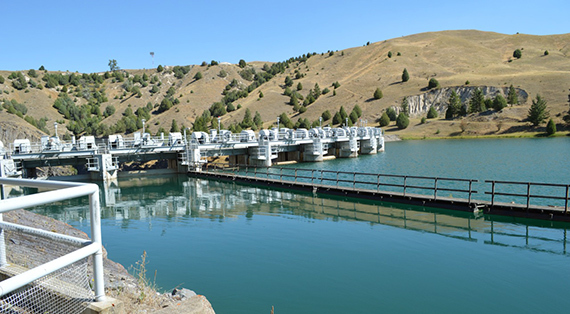 The corporation will provide sustenance to the Confederated Salish and Kootenai Tribes through economic benefits derived from critical natural resources of the Tribal community. 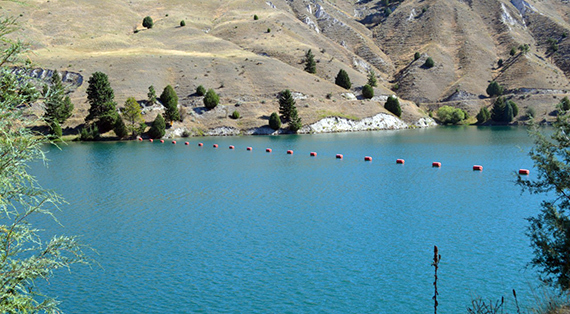 Additionally, owning and operating Se̓liš Ksanka Ql̓ispe̓ Dam will allow the Tribes to exercise sovereign power and implement management functions over important cultural and natural resources of the Flathead Reservation. Land—is the foundation of existence for all natural resources [living beings]. The landscape behind the Fox is the center of the Flathead Indian Reservation, the treaty-reserved homeland of the Confederated Salish and Kootenai Tribes. Water—is the life-blood of all natural resources [living beings]. 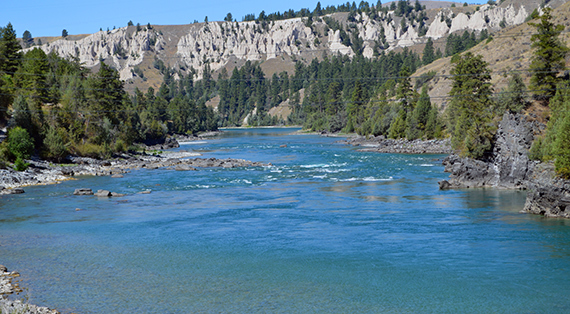 The image of the water bodies behind Fox are those of the south end of Flathead Lake and the lower Flathead River, two resources that are integrated with, and impacted by, the operations of the Se̓liš Ksanka Ql̓ispe̓ Project. Lightning Bolt—is the most dramatic display of electrical energy in the natural world. In the Salish and Kootenai languages, the words SUW̓EČM and ʾA·K̓͏AⱠMUKWAʾITS refer to lightning and the words SXʷNQ̓EʔELS and KSUKⱠIⱠMUMAⱠ refer to being a caretaker or keeper. Taken together the literal translation for the combined Salish and Kootenai names for the corporation are generally translated as "keepers of the lightning." From this translation, the English name “Energy Keepers” was created and approved. The process of developing and approving the Salish, Kootenai and English names for the Tribally-owned corporation was completed during several months of consultation between the Salish-Pend d'Oreille Culture Committee and Elders, the Kootenai Culture Committee and Elders, and the Tribal Council. Honor and respect for the sacred nature of the resources we are asked to manage and preserve for our future generations. Our environmental objective; to minimize and manage impacts from our operations, through environmental stewardship and planning for sustainable future operations. Our safety objective; to ensure a safe working environment and the safe operation of our facilities. Our economic objective; to maximize our economic return by being innovative, efficient, productive, and responsible in the ways in which we conduct our business. Our social objective; to be a responsible and valued corporate citizen of our community by considering its needs, the needs of our customers and the needs of the Flathead Reservation.